It’s a double-edged sword for a film because the story should place the emphasis of character development on the main character, Jared, but it seems much more interested in how his homosexuality affects everyone else around him. Jared truly becomes a boy erased. Edgerton seems interested in telling the story, but with a focus on the friends and family. As a gay person watching this film, it is frustrating seeing this sneaky narrative shift, but I came to the quick realization that this film wasn’t meant for me. I know about all of these evils inside and outside of our community. The perspective doesn’t cater to the gay community because we aren’t the ones that need to be educated on this topic. This film is meant for mass consumption, and once you realize that, the film loses any insidious notions about its true intentions. Edgerton’s choice in the film’s focus suddenly makes sense. “Boy Erased” is a familial exploration into the dark depths of religion, and the hypocrisy that it peddles. The real person’s journey that the film highlights throughout is Jared’s mother, Nancy (Nicole Kidman). She is meant to be the entryway into this film because her experience is the most relatable. As a mother, she is meant to love her son unconditionally, as most family ideally should. The reality, of course, is that oftentimes families are willing to excommunicate another family member solely based on their sexual orientation. Nancy’s character growth and development throughout the film are subtle and perfectly nuanced, giving her the ability to convey all of her thoughts through silent, solemn expressions. Her final resolution at the film’s climax was perfectly built up, like a tea kettle set to boil. She is our guide into this real-world scenario—the Virgil to our Dante through the inferno called conversion therapy. Her character’s journey is the truly important takeaway of this film because her biggest role is as a cautionary tale about how love and acceptance should always be at the forefront of any relationship. She is meant to teach other mothers, fathers, sisters, brothers, and even friends what happens when you don’t create an environment of acceptance for your loved ones. Joel Edgerton shows himself to be a true ally by reinforcing this strong message, even if he does it in the safest, most socially palatable way possible. I understand, there is an ease to which some people need to be delivered jarring information. Like being told as a child that your goldfish Fishstick died, or being shown that some old religious texts shouldn’t stand in the way of you unconditionally loving your children. Unfortunately, Edgerton does this too tepidly, avoiding taking anything close to a risk in favor of keeping it agreeable. Aside from the brutal scene I mentioned earlier, the film only ever dips its toe into the potential true darkness of the film, showing us only glimpses and sacrificing emotional catharsis with it. 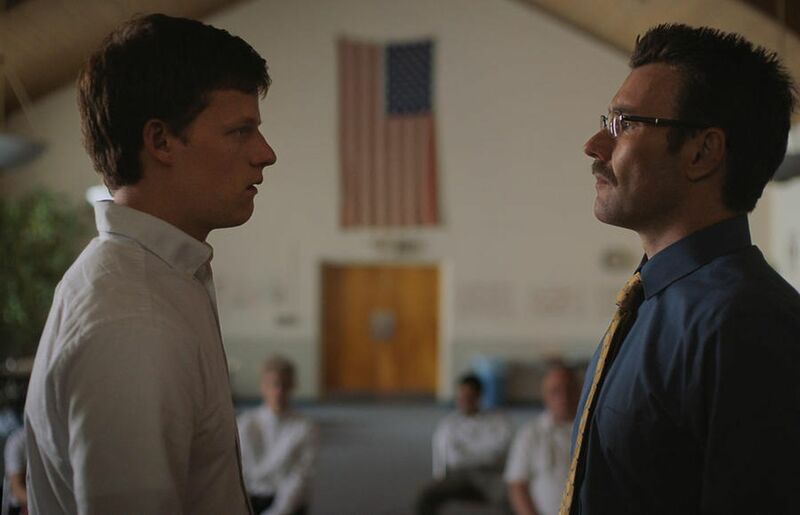 One front “Boy Erased” doesn’t compromise on is the quality of the talent of everyone involved. Aside from writing and directing, Joel Edgerton does a fantastic job as one of the main antagonists. Edgerton is no novice when it comes to playing the protagonist’s foil. In fact, he’s built a career around it. While both Lucas Hedges and Russell Crowe deliver solid performances, this film was really Nicole Kidman’s. Kidman’s role as the sympathetic mother gets the film’s full attention, making her the point of poignancy. Her performance is the only reason that the emotional climax has even an ounce of gravitas, and it is all thanks to her continued devotion to every role she plays. Although her transformation in this film seems tame compared to some of her other roles like in “Destroyer” and “The Hours”, her nuanced conversion into the character proves no less complex. Everyone had a role to play, and they did so with great respect and understanding. After watching the film, the same is expected of you, especially when it comes to the treatment of those you claim to care about.